Never ever leave Delta points on the table! It is EZ to sign up for a credit card bonus deal. You get the card and then buy what ever you want with the card. Not rocket science and not much to keep track of other than spend (X-$$$) inside of (X-months) = points. Marriott has a deal where you can earn up to 50,000 points. (note you can ONLY register if you pick skymiles as your rewards for stays). Hilton has one where you can earn 2012 points per stay. You gotta eat, so Skymiles Dining can earn you a lot and 1,200 bonus points. Both Wyndham and La Quinta stays can earn 1,000 each. There is a new survey site that many have already been e-Mailed about called Whiteboard. And all of these can be found on the official Delta.com web site. Get ready for LEAP DAY TOMORROW. We will giveaway THIS! Please dont make giveaways so long like some others do! You’re always the best about giveaways. Keep up the great work and great promos! PS I have an email in. It still shows active on the main promo page but does not work. https://www.marriott.com/rewards/earn-points.mi#/2/ May be a bug. Will update. UPDATE: in order to be eligible to register for the promotion you have identified, you must first alter your earnings preference on your Marriott Rewards account to miles rather than points and select a participating airline in the MegaMiles promotion before registering. I’m a DL medallion and will always leave skypesos on the table when there is and option to earn points or RDMs on another programs. For the same reason, I won’t waste an AMEX credit inquiry for 30K skypesos. Only time I favor skypesos is when it earns MQMs. @HikerT – when you ( me ) run up to 12 cards a year, you look at every card you can get. I am soon like Rick the FTG who has just about run out of cards as we have had them all! http://deltapoints.boardingarea.com/wp-content/uploads/2012/02/CARDS.jpg … but they do seem to keep coming up with “NEW” ones all the time. 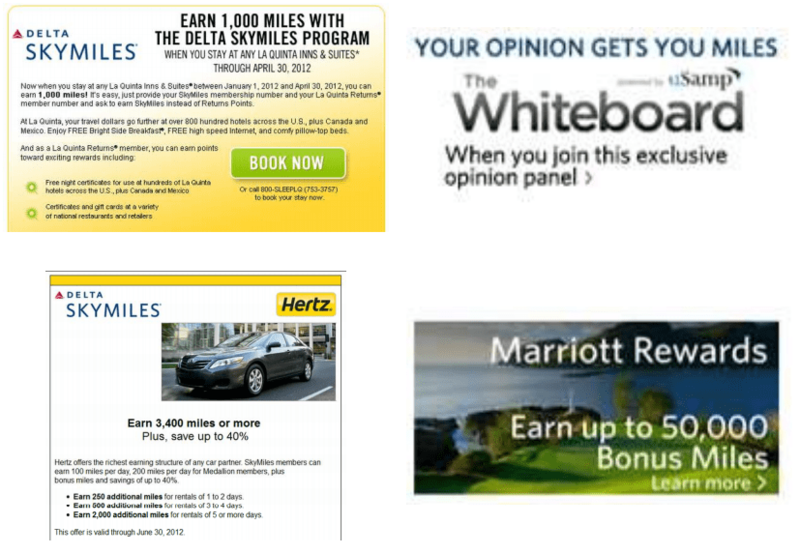 Marriott says you have to choose to earn miles not points for the promotion!